I'm a very interactive streamer. How so? Well, I will literally let my self get rekt by a horde of zombies in COD zombies so I can read chat. I'm all about having a good time and going nuts when I manage to actually do well in a video game. There is no judging in my stream! Well, you can judge me all you want but, I still love you. I also do art streams. I have some experience with professional gaming organizations. I co-hosted Set to Destroy's podcast for a bit. I also manage a few small e-sports teams. I did host a non-profit radio show in Hawai'i. I was pretty good at it. If I wasn't a streamer I'd probably try to be a radio host. 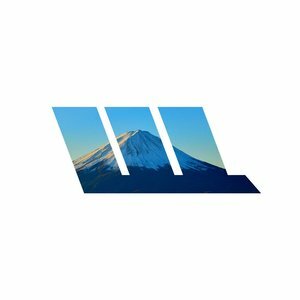 I want to create a stream that people can watch and be able to escape the crazy world we live in. I want to form a community that is supportive and caring of all its members. Especially those who just need a few laughs after a long day. I've suffered from anxiety and depression for a long time. I would watch streams to escape and eventually started streaming as an outlet as well. Now I still do that but, I really want to give back. I want to be able to make at least one person's day just a little better. Report Wolfgang_Lupos' profile for containing a lack of content. Report Wolfgang_Lupos' profile for containing unsafe links. Report Wolfgang_Lupos' profile for containing offensive content. Report Wolfgang_Lupos' profile for containing formatting errors. Report Wolfgang_Lupos' profile for containing invalid links. Report Wolfgang_Lupos' profile for another issue.